10 Traits Empathic People Share (and how to look out for yourself if you are one). 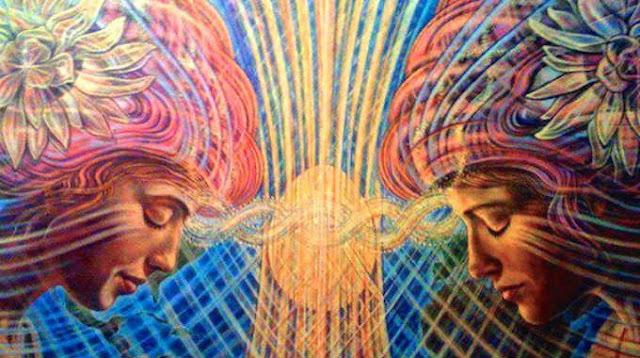 Empaths are naturally giving, spiritually open, and good listeners. If you want heart, empaths have got it. Through thick and thin, these world-class nurturers will be there for you. But they can easily have their feelings hurt, too: Empaths are often told that they are “too sensitive” and need to "toughen up." Empaths are big-hearted people and try to relieve the pain of others: a homeless person holding a cardboard "I'm hungry" sign at a busy intersection, a hurt child, a distraught friend. It's natural to want to reach out to these people and ease their pain. But empaths don't stop there. Instead, they take it on—suddenly they're the one feeling drained or upset when they felt fine before. As an empath myself, I use many strategies to protect my sensitivities, such as fierce time management, setting limits and boundaries with draining people, meditation to calm and center myself, and going out into nature. I find being an empath a gift, but I had to learn to take care of myself. Empaths have special needs. If you're one of us, it’s important to honor your needs and communicate them to your loved ones. This post was republished from psychologytoday.com. You can find the original post here.